We are looking forward to having you stay in our cabin on our family farm. Our home is just a couple hundred yards away from the cabin. The property, about 42 acres in total, is quite secluded and includes a private tennis court for guest use as well as walking grounds with plenty of fruits and vegetables for you to indulge in. We are about a 20 minute drive from: Laurel Snow and Cumberland hiking trails, Watts Bar Dam on the Tennessee River and downtown Dayton. You can find excellent hunting and fishing locations throughout the area. We enjoyed the peace and quiet. Very nice place to unwind. 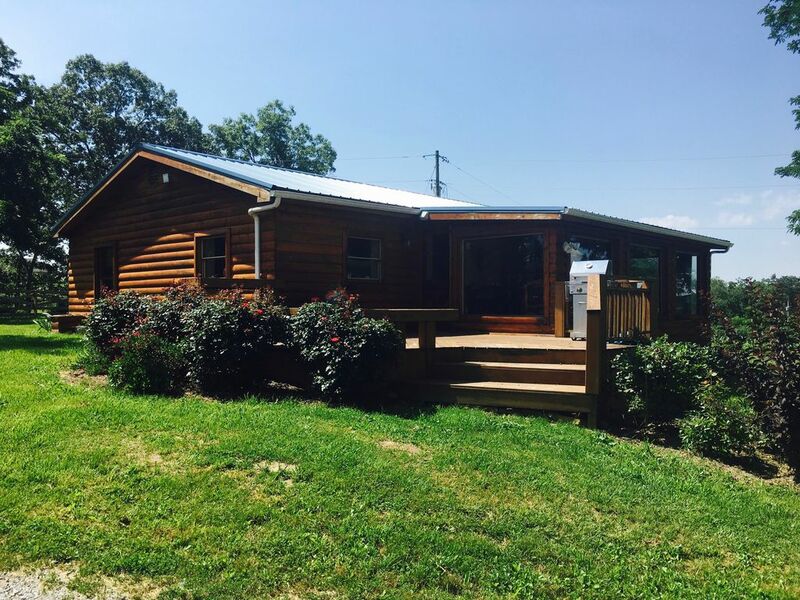 Very comfortable, modernized cabin in a peaceful setting! Loved being greeted by an awesome Aussie that smiled. He showed us around and had to get to work to hurd two of the calves that escaped from the pasture into the yard. Enjoyed watching the cows in the pasture. We weren’t expecting WiFi and direct tv, so that was a nice surprise. Directions from google got us right there. This cabin has obviously been recently renovated. It is very stylish but still has a rustic cabin feel. It’s a secluded place to rest and relax. Country quiet farm life at its best!! We absolutely loved our stay here! The cabin is like an old cabin that has been updated to 2018! It’s was perfect! We loved walking around the property and watching the cows. We brought our lab with us and she loved it too. The property manager was our favorite! She texted us to make sure we were good - I felt like we were family too on the farm! We brought food to cook & they had a fully stocked kitchen. It’s the perfect place for some peace and quiet!! We would highly recommend this cabin!